In this post we will see how to take configuration back up of WLCs using Prime Infrastructure. If you have multiple controllers, then Prime Infrastructure would be the easiest way to automate the WLC configuration backup at regular interval. I have used Prime Infrastructure Release 1.4.1 to illustrate this. You can use FTP/TFTP/SFTP method to take the configuration backup. First we will see how to backup WLC configuration to a local FTP server of PI. 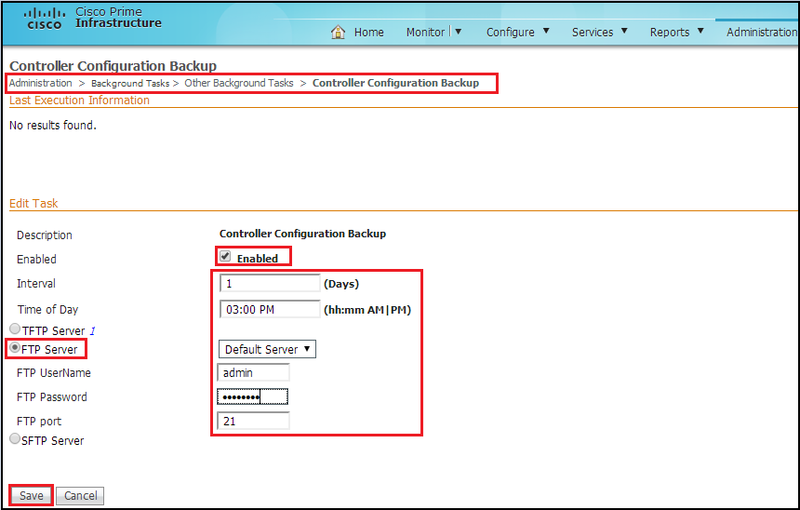 You can enable (by default it is disabled) this under “Administration -> Background Tasks -> Controller Configuration Backup” section as shown below. If you need to see the WLC configuration, then you can open it on a text editor & review the configuration. Now let’s see how you can directly backup to external FTP server. 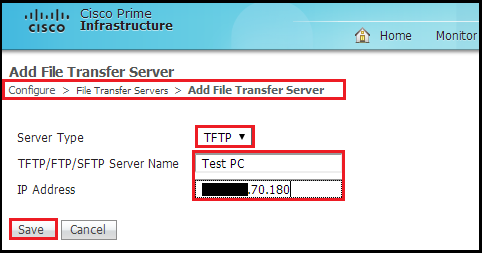 To do this you need to first add external FTP server onto your Prime. You can do this under “Configure -> FTP/TFTP/SFTP” section as shown below. Now if you go to “Administration -> Background Tasks -> Controller Configuration Backup” section you can modify the settings to point to newly created FTP server. You need to update FTP username/password according to your FTP server setting. Now you can see the controller backup is saved in your external FTP server. Here is my external FTP server root folder when configuration backup is saved. If you would like you can use TFTP as well. Below shows configuration backup is saved in a TFTP server on my PC. 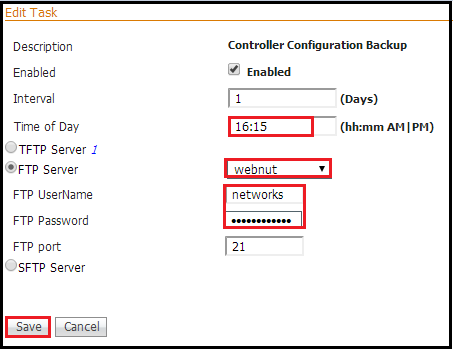 Now you can modify the Controller Backup Configuration settings under Background Tasks to pointing to your TFTP server. 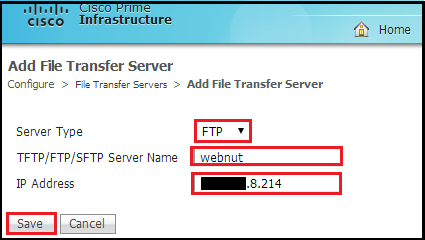 Now you can see your WLC configuration backed up to your TFTP server specified location & verify the successful backup entry on prime itself. This is really useful if you have multiple controllers which needs to be backed up regularly. Always better to keep the configuration backup external to Prime itself, in case a issue with the Prime Infrastructure. 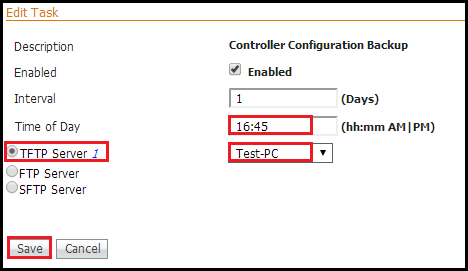 How do I extract the configuration file from a WLC 4404 series which partially boots up? I have attached a copy of the boot process. If your 4404 is not properly booting, I am not sure whether you can recover the configuration file. Anyway, I did not see any file attached. you can send it to “mrncciew@gmail.com” so I will reply via mail. Hi, I wanted to know if there are any best practices recommended by Cisco as far as AP placement is concerned while deploying Prime Infrastructure. Since it provides CAS, WIPS and CMX solutions, do they also have a recommendation for placing access points in a certain pattern. Thanks a ton! Also, all your blogs/posts are really helpful. Great work!! Thanks Rasika,,, its use full post. Yes, your switch should have basic configuration to communicate with your FTP server. With the prime I can make backups of the WLAN controller and send them to an FTP server as explained in this post. It could be done the same with the switch ?